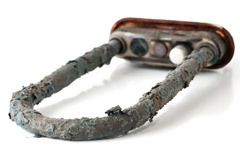 Scale buildup due to hard water can be costly and troublesome. The minerals that cause scale buildup (primarily calcium and magnesium in hard water conditions) attach to piping, boilers, water heaters, appliances and plumbing fixtures. As scale accumulates, it causes equipment to fail. It negatively affects plumbing infrastructure, speeds up equipment degradation and replacement, and increases maintenance costs. LifeSource ScaleSolver conditions water using Template Assisted Crystallization (TAC) micro-crystal technology. TAC-based ScaleSolver does not use salt, added electricity, or waste water like water softeners do. As water flows through a series of tanks, nothing is added to the water. A chemical reaction occurs with TAC media, forming molecular micro-crystals with the minerals that don’t adhere to metal surfaces. They simply pass through the piping, which reduces scale build-up for most applications. LifeSource avoids the use of salt in its systems. The use of salt adds unhealthy amounts of sodium to the water and reduces healthy calcium and magnesium minerals. LifeSource ScaleSolvers eliminate the added cost, storage and labor expense of continually adding salt to the tanks. 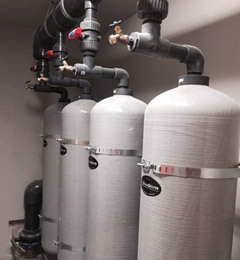 Additionally, the large amount of waste water and salt brine from water softeners is another hidden cost of ownership models.